Well what an exciting week! Getgoglasgow, which is the design collective of the two Masters courses at the Glasgow school of art (Design Innovation and European design) won the Audi Sustain our Nation competition and £10000 for the community we worked with. We’ve been working with an area in Maryhill Glasgow called Wyndford to develop a sustainable social enterprise for their community. The project has been tough, with some great highs, and almighty lows. For the group, it was a challenging project. This demanded a new role of the designer away from the solo author to the co-creator. We made it really clear at the beginning of the project to work with people rather than for them. The winning project was Green Gorillaz, a way to bring back community spirit and the community voice, using offline and online message boards, linked up by residents. We created some seed groups which will house events and see knowledge transferred across generations. It stems from the closure of their primary schools last year, and a real loss of community. They had come together to fight the decision, so we knew there were passionate local champs. We wanted to harness this and turn that energy into something positive. But credit should go to everyone involved in the project, there were three projects developed from the same process. 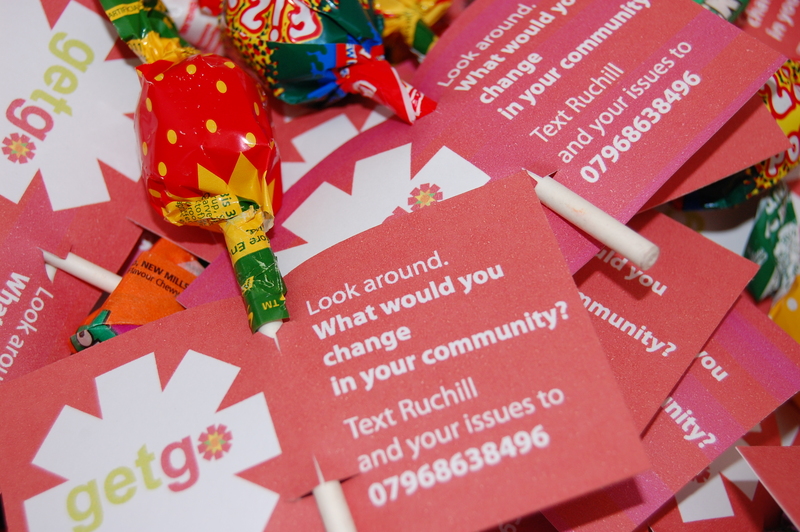 We held co-creation workshops with residents and stakeholders to generate ideas to take forward, but made sure at all points we were transparent and open about our process, returning to the community regularly to work with them again and develop proposals. If design education should learn anything from this, is that building relationships takes time, and if projects like this are to be handed to students, proper training in community work, sustainable thinking and an understanding of ethics should be taught. We’ve struggled with the competition and institute deadlines. For example, after handing in the first three projects, we had to wait to see whether any had made it through to the regional finals. At this point, we decided as a collective to carry all of them on anyway, even though none might be taken forward. Anyway, we’re down at the RSA on the 17th February to represent a ‘developed’ concept (we’re working to make it real and it starts tomorrow with a football pitch party at 10am where we’ll be feeding back to the community), and hopefully we can win another £10000 for Wyndford. This project, Design for Dublin, only came to my attention yesterday through the ‘Designing for the public sector’ group on Wenovski. 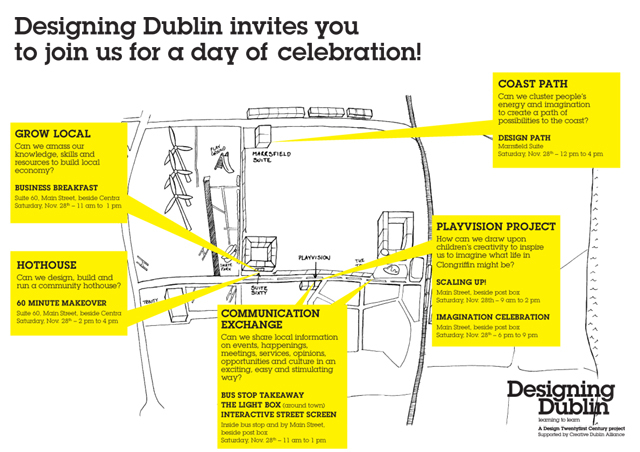 “Designing Dublin was a pilot project that ran in conjunction with Dublin City council. For three very intense months, a team of 17 of us worked on a project called finding the hidden potential of place. It’s worth having a good look through their project blog from start to finish to see how the project progressed. The idea was to grow a culture of learning, that could help ‘ provide a new generation of entrepreneurs with the tools to design inventive solutions to the new global challenges and encourage people to understand how they can contribute purposefully to the future of their country and to the world in the 21st Century. I’ve been wanting to blog about this for a good couple of months, a diamond find in my library at the Glasgow School of Art. 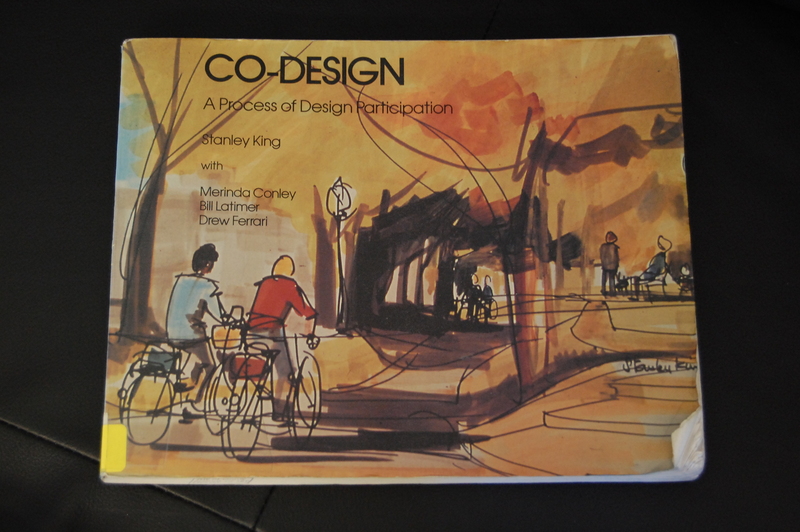 The book Co-design: A process of Design Participation discusses the early work of Stanley King and the Co-design group providing an in depth and concise description to the work of community architects and the workshops they facilitated from the 1970s. For me, design education needs to change to accomodate the changing role of the designer. Texts like this clearly demonstrate the complex nature of this type of work, covering organisation, skills, mindset, generative tools and more that is needed to successfully conduct a workshop. In context of the architects here, drawing people’s ideas in real time, there is a clear skill and process to doing this, covered in chapters like, ‘Anatomy of a Co-design drawing’. 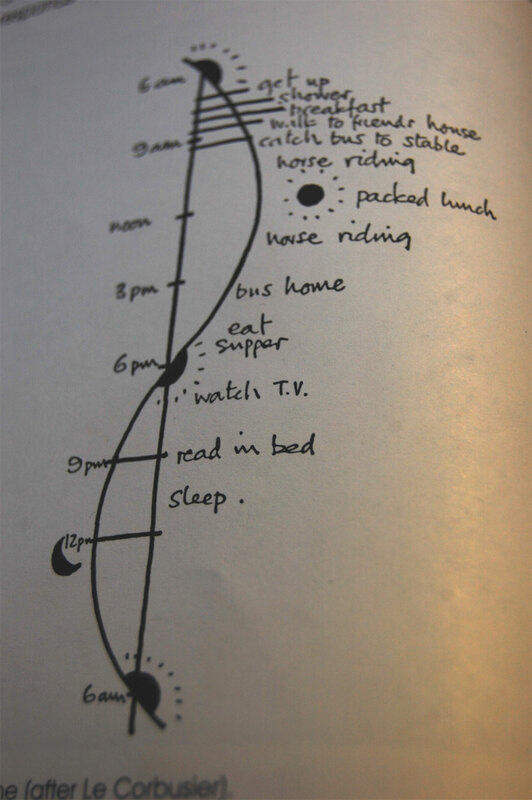 There is also a fantastic diagram and images from the 70s showing the co-design group using an Activity Time Line (after Le Cobusier) where the artists indicates the helix of a rising and setting sun and marks off the hours of the day and the night. The participating audience then shout out tasks they would do during the time period, which is marked onto the diagram. They then group off and choose an activity to work on with an artist, and start building ideas based around it. Reminds me alot of journey mapping, just in a 24 hour community sense sort of way. Why do I think this book is so important? It shows there is so much more to the co-design workshop than meets the eye, and whilst, we do only learn through practice, I think methods like this, which are so common in our current design practice should be taught in a more in depth and pragmatic way, with a focus on the mindset ideally put on for this process. Texts like Co-design are comprehensive in their descriptions of how to facilitate correctly in the context of workshops, and are incredibly detailed about the way a facilitator draws people’s ideas, how to deal with overpowering participants and how to correctly note take, to name but a few considerations. These details are important and without proper training in this domain, results of a workshop can be tainted. This role of facilitation is about relinquishing control, and the tools of designer, namely their ability to give ideas form through drawing or model making must be carefully considered. Designers can be incredibly influential in what they choose to make tangible, by making something real, it can sway the whole group’s opinion one way without considering other possibilities. Therefore the designer must act impartial, and drive the group through the creative process rather than own it. In the last twenty years the role of the designer has changed from solo author to co-creator. In a move away from the modernist conception of designer as individual expert, design thinkers have adopted a participatory approach, involving users directly in the development of new products/services/systems throughout the design process. This can largely be seen in the emergence of the Service Design discipline throughout the last decade, which has been highlighted and catapulted into the hands of students, business and governments worldwide by the internet’s coverage and sharing of methodologies. 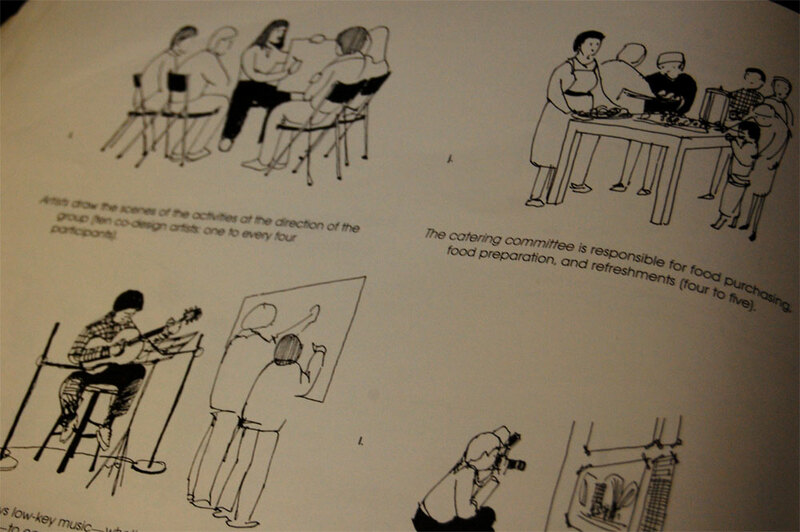 Service design leans heavily on the principles and methods of participatory design, a practice with roots in the Scandinavian workplace and trade unions. The discipline is predominately co-creative, user-centric and adopts a holistic approach to design, including insights from, and direct engagement throughout the design process with a range of stakeholders and user groups in the development of new service offerings. In light of this emerging domain and a steady influx of socially motivated projects being introduced into design courses at undergraduate level,  design educators must reflect on the changing role of the designer and the new landscapes they are operating in, developing new frameworks to accommodate the need for new mindsets and skills. This initial think piece will reference throughout a recent project undertaken by the students of a new postgraduate Masters course, Design Innovation at the Glasgow School of Art. It will highlight issues that will need to be taken into consideration surrounding this type of participatory work, in particular the effect of designers engagement with people and a consideration of a new design philosophy that focuses on promoting a sustainable approach to community and participatory design work. 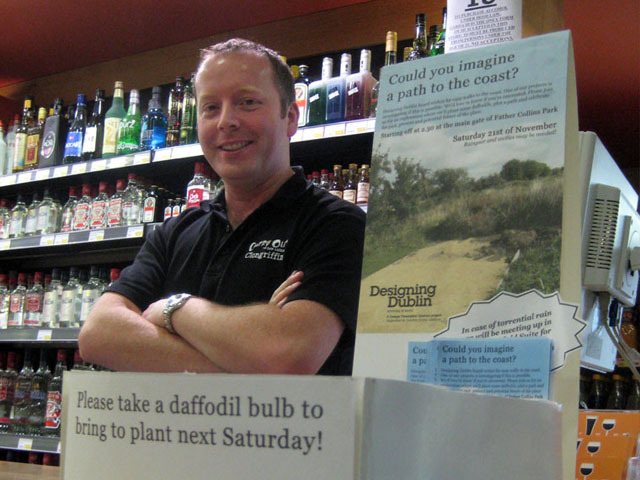 Dott 07 (Designs of the time 2007), a year of community projects, events and exhibitions based in North East England, explored what life in a sustainable region could be like – and how design could help us get there. Public Services by Design is a new programme to inspire and enable design innovation in public services. 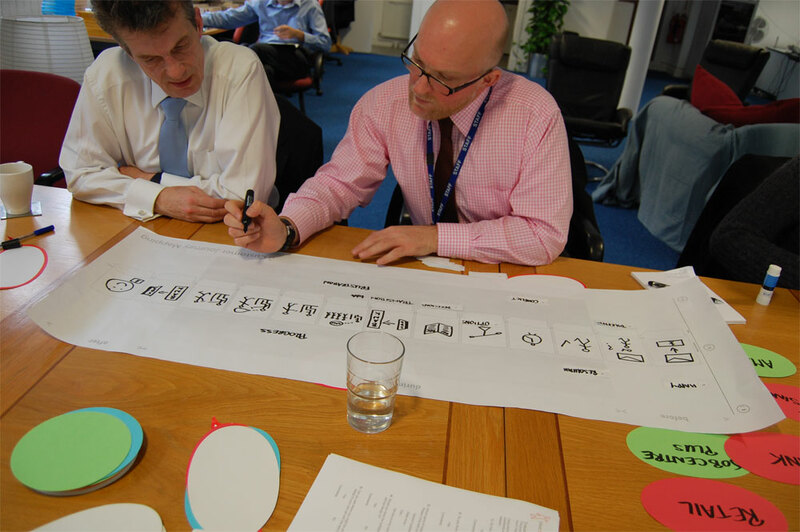 It helps public sector managers build awareness and understanding of how design can help in the process of developing and delivering better public services. Last night I realised the reason I don’t own a tv is the fact that I be likely to waste hours in a trance watching ‘rubbish’. I also never really have time to, but in a rare ‘evening off’ I found myself plonked in front of the tv and accidentally happening upon Gordon Ramsay’s ‘F Word’. Recently inspired from a publication to search out T.S Eliot’s poem, Choruses from the Rock , the last line from this excerpt stood out for me. When the Stranger says: “What is the meaning of this city ? Oh my soul, be prepared for the coming of the Stranger. This echoes the frontstage and backstage fundamentals of service design. He interacts with everyone, frontline staff (waiters), backstage staff (chefs) and the customers, gaining opinions from all sides to build a holistic picture of the restaurant, focusing on the product, the service, the experience. And so I saw Ramsay as a bit of a design thinkist. I sadly marvelled at his almost erratic behaviour trying to understand why no one was questioning the ordering system of the restaurant or why the chefs weren’t questioning why the plates were coming back with half eaten food or sauce on the plates. And so if we take the task of passing the skills and tools of service design to ‘non’ designers, perhaps to think of it like the role of investigator is the way forward. By giving people new skills and tools to think in the ‘customer’s’ shoes and like a designer, they will be able to see ways the front line service can be changed. This does however require a level of autonomy to be allowed to do this. I will categorically say that currently in the public sector this is very difficult and comes down to many things like the risk averse mentality and management structures. There is hope though. And something I want to believe is discussed in Thackara’s opening to his book, In the Bubble: Designing for a complex world. I am troubled that it takes a certain type of person and mindset to think and question scenarios like a designer and soon I hope to publish a recent piece of writing on this topic which elaborates on my thoughts. In no way am I set in any way on my opinions, the next nine months or so I will be investigating this through practical work with frontline staff in the public sector with a clear goal on a sustainable implementation, so when designer’s are out the picture, staff have the relevant support and skills to use the designer’s toolkit and thinking. In essence, it will have to be a transformative process, and if you haven’t already, pick up Tim Brown’s ‘Change by Design’ I suggest you do. Those who know me personally may remind me that I did state not everyone can be a designer but at the very least I’d like to think that others can harness aspects of design thinking to start asking questions about the services they deliver and designers can start to work on ways of sustainably changing cultures in new domains. My mind is entirely open again. 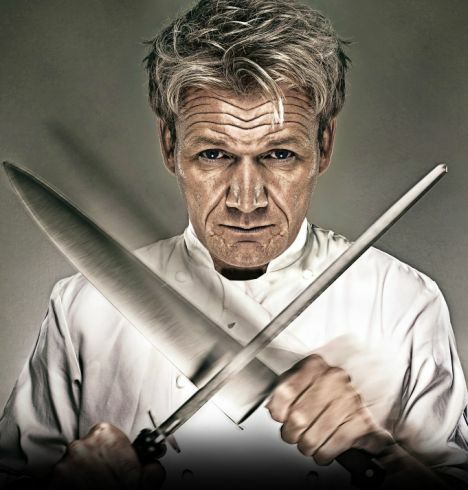 Cheers Ramsay! I would be interested to get thoughts on the subject of ‘Everyone as designer’ and from people who have worked on similar projects to hand over design skills.